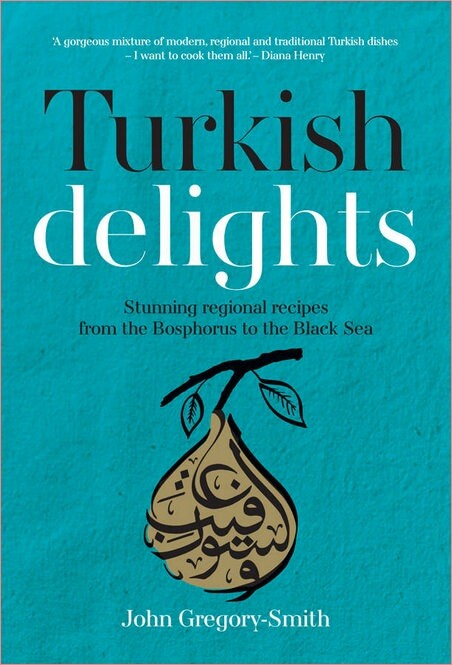 In Turkish Delights John Gregory-Smith brings his passion for Turkey and its food to your kitchen. He celebrates the best of the country’s traditional food with 100 regional dishes, giving each one his simple, modern spin. Forget greasy late-night doner kebabs, John offers the Iskender kebab from the city of Bursa in Northwest Turkey, filled with finely sliced tender lamb, hot tomato and garlic sauce and yogurt. Other tempting dishes include the Ilgin Beef Kofta (pepper and parsley spiked beef from the Central Anatolian region) or his Ottoman-inspired Stuffed Pepper Dolma. With chapters on Breakfast, Meze, Pide and Kofta, Kebabs, Salads, Meat, Seafood, Vegetables and Desserts and Drinks, it is crammed full of exciting flavours and inspiring ideas.